We’re traveling to IMSH, the leading healthcare simulation conference, to share our first medical training experience created in partnership with Engineering & Computer Simulations, (ECS), an award-winning global services and solutions company, headquartered in Central Florida. This virtual reality training simulation, Tactical Combat Casualty Care (TC3Sim) provides combat medics with step-by-step directions to treat injuries sustained in battle. 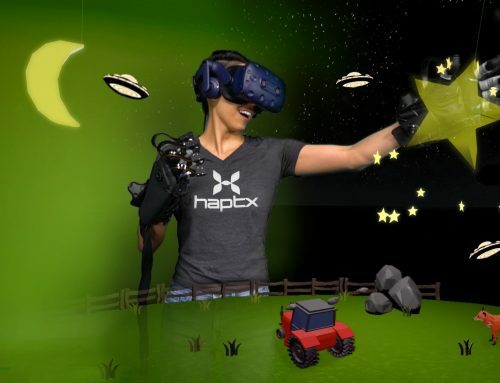 By wearing HaptX Gloves, trainees can use their hands naturally in the virtual world, developing the necessary muscle memory needed to successfully perform life-saving tasks in the physical world. “We’re proud to be developing a safer, more cost-effective way to help soldiers master critical medical tasks for the battlefield,” says HaptX Chief Revenue Officer Joe Michaels. David Fahr, a Software Engineer with ECS, served as lead developer on the simulation. David used the HaptX SDK to integrate our gloves into the experience he built in Unity. We were pleased to hear the process was seamless and intuitive. David spoke with us about his experience developing this project. Vivian Reed: What inspired the creation of the medical combat training simulation? David Fahr: ECS is a leading provider of innovative training and services for the military and civilian markets. Our TC3Sim project has been successful in training tactical combat casualty care in a desktop training version. We were inspired to bring the sense of touch to our product to enable even more realism and better training. These VR scenarios used the Vive headset and Vive controllers which formed a virtual approach to common situations that combat medics encounter in their primary mission of battlefield first response. 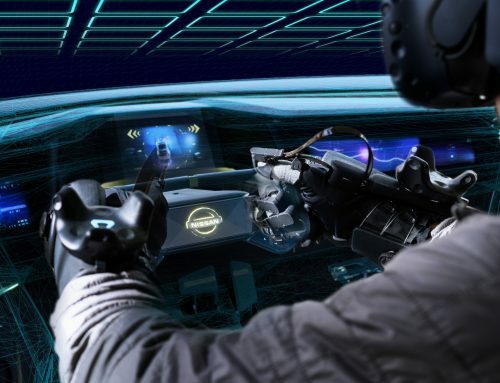 With the introduction of HaptX Gloves, we saw an opportunity to expand those training opportunities and improving interactions to allow users to manipulate and feel objects in the virtual environment. This allows users to experience the scenarios like never before. Vivian Reed: What were the goals of the simulation? David Fahr: The main goals were to explore the range of different interactions to see what medical interventions a Combat Medic performs, and to determine what training objectives would benefit most from utilizing the HaptX Gloves. This also gave us an opportunity to “see what works” and help us understand the limitations of the current generation of the hardware, and what might lie in the immediate future with further research and development. Vivian Reed: What benefits do HaptX Gloves provide for the simulation? David Fahr: HaptX Gloves allow for a much more intuitive, immersive, and memorable experience, giving the user the opportunity to not only visually engage in the environment and current situation, but also to feel what they are touching and interacting with. Hopefully creating that connection where a user can remember that interaction and reuse “muscle memory” if the situation arises where they must use the information in the real environment. Vivian Reed: Describe the experience of integrating HaptX Gloves into the VR simulation. David Fahr: Integrating the HaptX Gloves shifts your perspective from the typical VR interaction where the trainees use a controller to click and interact with an object, to more of a realistic, human-based physical approach of actually grasping an object or reaching out and touching a button with your finger. Our design team modified our virtual training by changing our physical interaction and making sure we could take full advantage of the interaction the gloves offered. Vivian Reed: Last November, we first shared our collaboration at I/ITSEC, the world’s largest training simulation conference. What did people say on the demo floor after trying out the demo? David Fahr: Most of the reactions after an individual took off the VR headset were “That was unlike anything I have tried before.” We are looking forward to sharing an updated version of our TC3Sim at IMSH this month! If your company would benefit from the HaptX Gloves Development Kit, please get in touch with HaptX to get early access. For more information about the Tactical Combat Casualty Care (TC3Sim), please contact ECS.